#ArjunKapoor recently on Saavn's new podcast "Take 2 with Anupama and Rajeev" said without films like 'Dil Chahta Hai' we wouldn't have films that have conversations or banter. 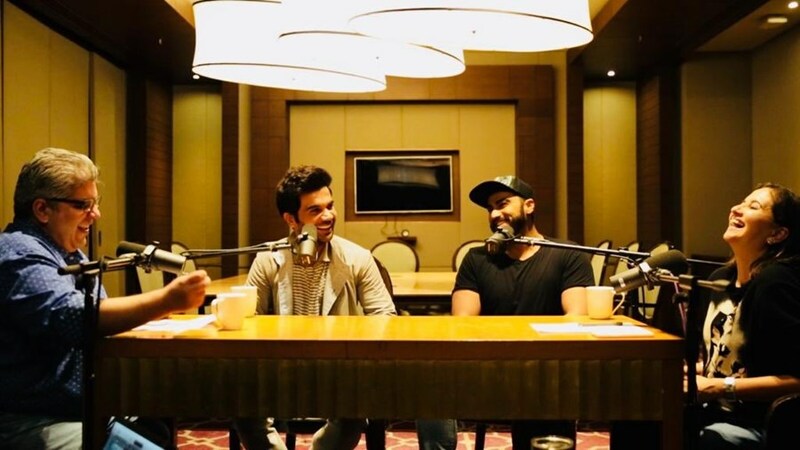 Arjun appeared along with 'Mental Hai Kya' actor Rajkummar Rao on the Saavn's podcast. While interaction Arjun said films like 'Lock Stock and Two Smoking Barrels' in English and the Hindi film 'Dil Chahta Hai' made him believe you can be ambitious. "You don't have to be stuck in cliches, you can think beyond, you can move beyond in terms of writing. It was a big leap. I don't think without 'Dil Chahta Hai' you would have actors like me and Rajkummar sitting here because you would have to do quintessential Bollywood as cliched stuff. You wouldn't be able to have films that have conversations or banter,"
Arjun also confessed he never thought he'd be an actor, "I never wanted to be an actor. That is where it is different for Rajkummar and me. He grew up with an inculcated thought of heading towards direction. I looked like a basketball so I did not really think about acting. I wanted to become a director the day I saw 'Lock Stock and Two Smoking Barrels' and I do not know why, I remember I was in 10th standard and I was awake at 12 at night and I was just watching that film,"
Arjun is currently busy shooting for "India's Most Wanted' and his next release is 'Namaste England' co starring Parineeti Chopra. Directed by Vipul Amrutlal Shah and presented by Reliance Entertainment, 'Namaste England' is slated to release on 19th October 2018.